Enterprise and businesses have for years seen the advantages of using digital signage as part of their branding and marketing planning. Digital signage gives businesses the opportunity to target and pinpoint audience demographics with only the desired results at specified times and intervals. By delivering digital signage content, VoD and live streaming services effectively, digital signage providers fulfill a market demand for live and on-demand video to any location and at any time. The enterprise environment is constrained by the lack of affordable content management systems (VueSign CMS) and simple, advanced hardware designs engineered for minimalistic, customizable requirements. Access and usability of existing resources is key for enterprise customers. The demand for digital signage services in the business environment is seen as an effective component in the delivery of branded messaging and a critical tool in all forms of the corporate communication plan. 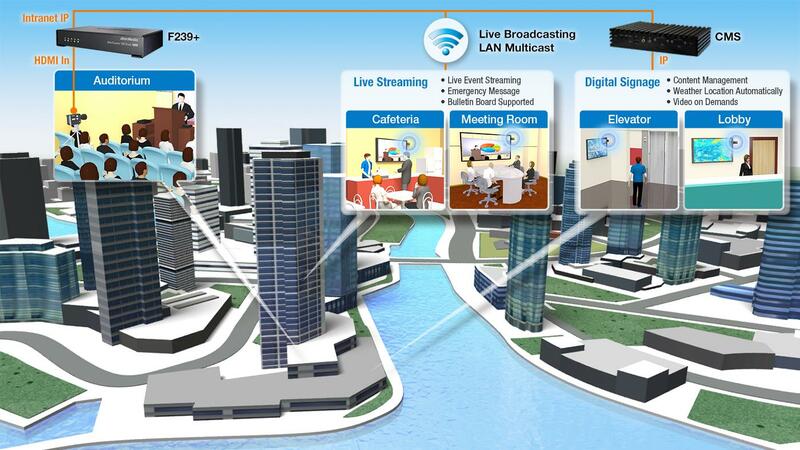 A simplistic digital signage solution must deliver transparent content management, live streaming and video on-demand for it to be effectively used. 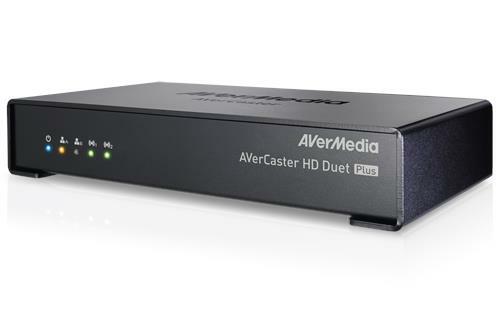 AVerMedia VueSign CMS is one of the most attractive technology offerings for the delivery of digital signage services today due to its cost efficiency and flexibility. The VueSign CMS solution is the premier model for enabling convenient, on-demand network access to multimedia resources, live streaming, and management. The VueSign CMS can effectively answer the digital signage question and deliver a complete solution from delivery of high quality video (F239+) to a complete content management platform (VueSign CMS) to HDMI receivers (SR310). 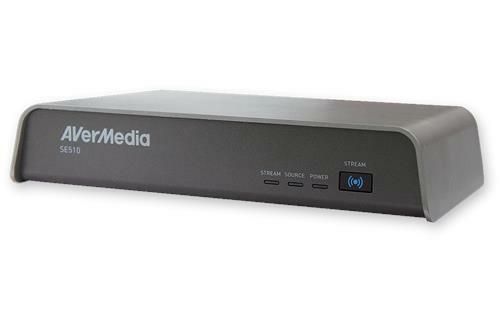 Beginning with the F239 Plus, AVerMedia offers the ability to instantly stream over the Internet supporting both RTMP and Multicast-based streaming. 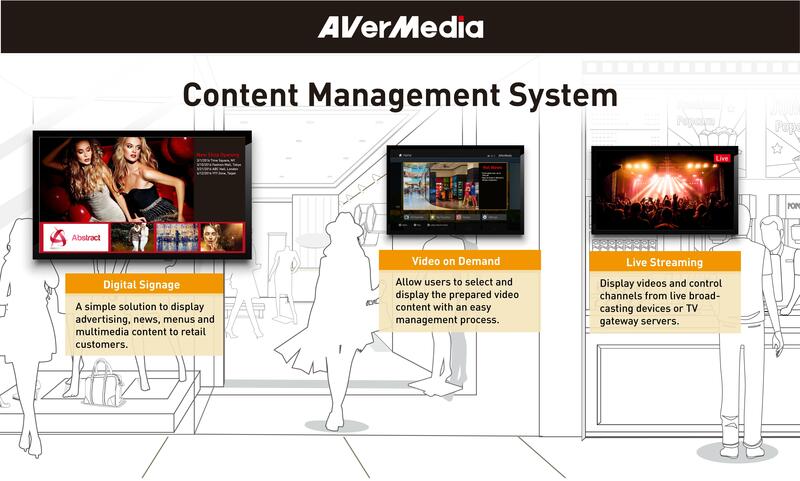 Management of all content: VoD, live events and digital signage content, is enforced through the AVerMedia VueSign CMS platform. Standard management and customization options are included in the VueSign CMS platform—template elements, media accessibility/availability and viewing schedules are well supported. 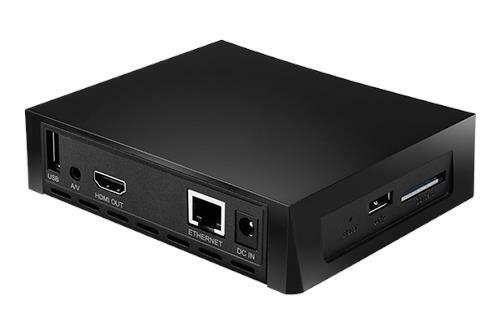 Simplifying the entire process even further is realized through the use of wireless HDMI receivers, SR310, eliminating the need for expensive and complicated cabling connections. The process of setting up the digital signage is as simple as connecting the SR310 to the desired display through the HDMI port. 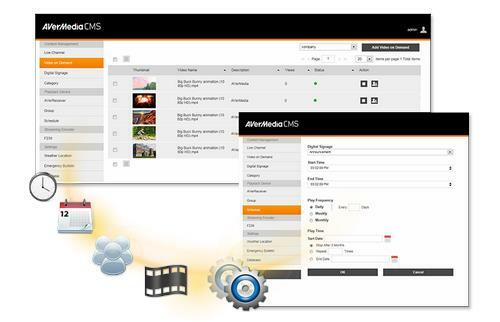 The AVerMedia VueSign CMS platform allows enterprises and businesses of all sizes to efficiently deploy and maintain a digital signage platform with minimal cost and effort. By incorporating F239 Plus, VueSign CMS, and SR310 as a complete solution, enterprises will enjoy a comprehensive system to easily offer digital signage, VoD, and live streaming services. Due to its adaptability within existing network infrastructure, enterprise policy delivery, event promotion and corporate wide training are easily realized and adopted in one fell swoop. The F239 Plus, VueSign CMS, and SR310 is the single integrated platform encapsulating all the frontend to backend requirements to get digital signage function streaming through the enterprise door.